H.13783 - Complete Home Renovation! This impressive residence invites comfort and exudes "Coastal Contemporary" elegance. It's one-of-kind 3 car ultimate garage features 40' of custom cabinetry for exclusive hidden storage is a must-see. 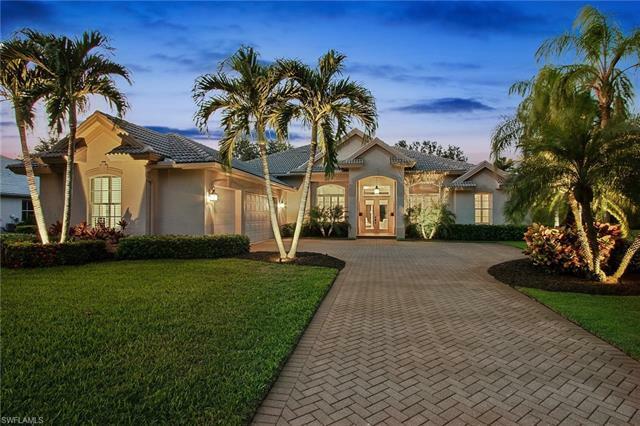 Situated on a half acre lot, the interior of this 4B/3BA pool home has been completely renovated with nothing to spare. Massive 13' tray ceilings w/ decorative crown molding, enhanced custom lighting, built-in wine storage unit & plantation shutters are just a taste of the many upgrades this home has to offer. Plenty of natural light & beautiful wood-design ceramic plank tile floors flow thru-out the home's open, airy layout. The gourmet kitchen boasts solid wood white cabinets, granite counters, large attached island w/ breakfast bar & high-end stainless appliances. Baths feature all-glass shower enclosures and upgraded counters and custom cabinets were added to master bedroom closets, dining room and game room wall for additional storage. Enjoy gatherings as the guests flow outside to the spacious outdoor living area w/built-in kitchen overlooking private waterfall pool + spa. True resort-living at its finest. Schedule your private showing today.